At Fine Art Shippers, we can ship wall art of any kind. Be it an oil painting, a collection of vintage photographs, or a large print, we can ship it for you to wherever it needs to be in the world. Besides, our team has experience in handling and moving street art, including highly valuable murals created by famous urban artists. Overall, we can ship wall art of any size and weight, as well as provide our clients with many other related services, from wall removal to art installation. 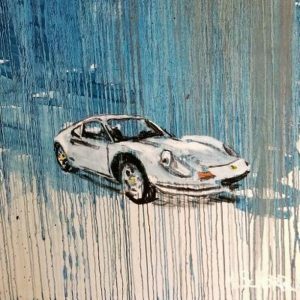 Our expertise and individual approach allow us to work with many contemporary artists, for whom we ship wall art both nationally and internationally. For example, we are very proud to be working with the amazing New York-based painter and muralist Mitchell Schorr. Mitchell Schorr is perhaps the best-known mural painter in New York, whose distinctive creations can be found throughout the city. You have definitely seen his rainbow-hued vintage sports cars or old-school ice cream truck on the temporary construction walls, garage doors, sidewalks, buildings, or elsewhere around New York. This series of murals is called Da Race, and it has already gone beyond the island, spreading Mitchell Schorr’s art throughout the United States. In addition to creating large street murals, Mitchell Schorr is also a talented painter whose works appear in various exhibitions and shows around the world. These include Art Basel Miami Beach, the American Academy in Rome, and the Slick Art Fair in Paris. Besides, Mitchell Schorr took part in the historic celebration of Ferrari’s 70th anniversary, which was held at Rockefeller Center in New York in October 2017. At Fine Art Shippers, we were happy to be there and help this talented artist with art logistics. 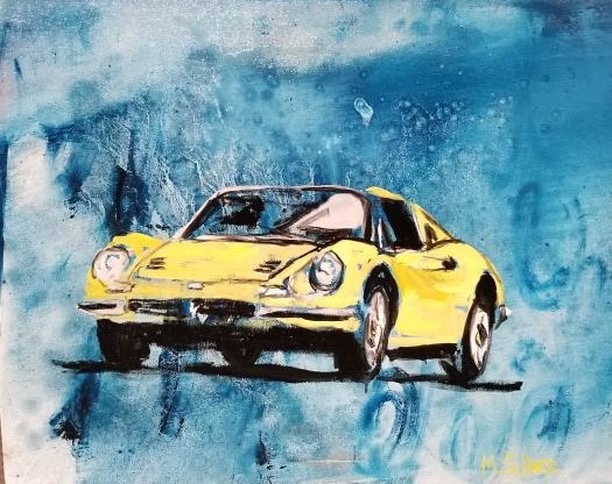 It is needless to say that the show was a success, as well as beautiful Ferrari-inspired artworks created by Mitchell Schorr.